Out of the two formulas I was most impressed with the matte balms mainly due to my internal and irrational fear of matte lipstick. Now don't get me wrong I love pretty much everything matte - matte eyeshadow, matte foundation, all things that I adore. But matte lipstick? Honestly that scares me just a tad. But these Revlon Matte Balms, ahhh-mazing! They applied really well and didn't dry out my lips at all. I think they are also just a bit moisturising that I almost forgot that I was actually wearing matte lipstick (thumbs up from me). The colour pay off is great and they last a really long time, and even when they start to wear off they leave a stain just like the original Colourburst balms. The Lacquer balms on the other hand I find to be very similar to the original, though slightly more moisturising and glossier. Both the matte and lacquer balms have the same peppermint scent as the originals, though I find the new formulas to have a better colour pay off. Overall, I am thoroughly impressed with these balms and I'm seriously itching to purchase some more. 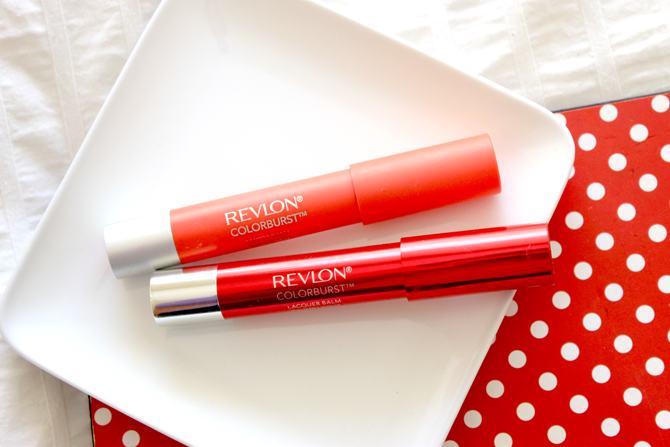 What formula do you like best from the new Revlon Colourburst balms? Beautiful blog, and gorgeous pictures! I have been wanting to try the Revlon Balms for agessss now, but after seeing so many positive reviews, I must pick one up!